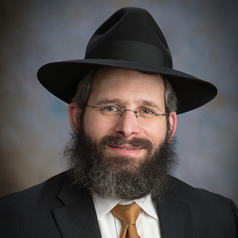 Rabbi Yerachmiel Gorelik teaches Jewish philosophy at Colorado State University. He was the recipient of the Colorado State University Best Teacher Award in 2014. He grew up in Melbourne, Australia and continued his Rabbinic studies in the US and Israel where he received his ordination from the former Chief Rabbi of Israel. He is also the director of the Chabad Jewish Center of Northern Colorado where he combines his passion for Judaism and education.